Janis Joplin’s musical career was brief although without doubt undeniably influential but it was her unfortunate inability to kick the habit that lead to her untimely death at the age of 27 through a heroin overdose a mere sixteen days after another icon of the 1960s counter-culture Jimi Hendrix passed away in London. 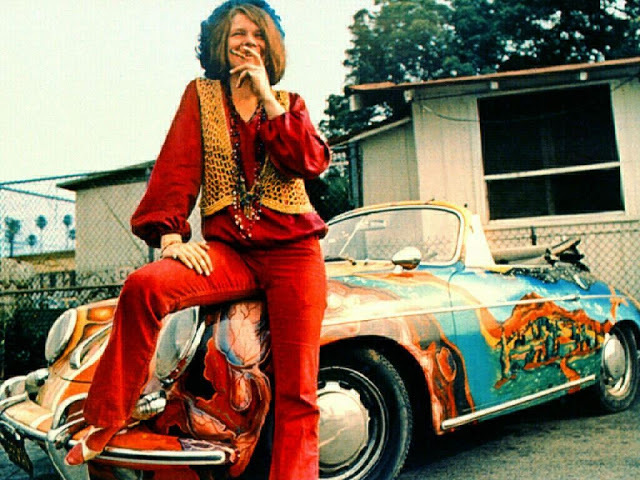 When Joplin’s body was found on October 4th 1970 in the Landmark Motor Hotel in West Hollywood her iconic psychedelic Porsche was still in the car park where she’d left it the night before. Much has been written about Janis Joplin’s unique voice, her electric stage presence and her influential legacy that still stands today which has undoubtedly been enhanced by her early passing. What’s not been documented quite so much is her 1965 Porsche 356c Cabriolet; a car that started life with a plain white paintjob but ended up as one of the four-wheeled icons of the psychedelic movement. Prior to becoming a solo star Janis Joplin tasted success with her first band ‘Big Brother & the Holding Company’ which she joined in 1966. 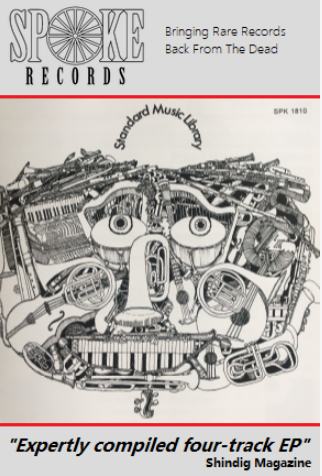 They were one of the earliest psychedelic bands and were particularly popular with the residents of Haight-Ashbury acknowledged by many as the birthplace of the hippie movement. The bands popularity rocketed and they became a regular fixture on the San Francisco circuit. 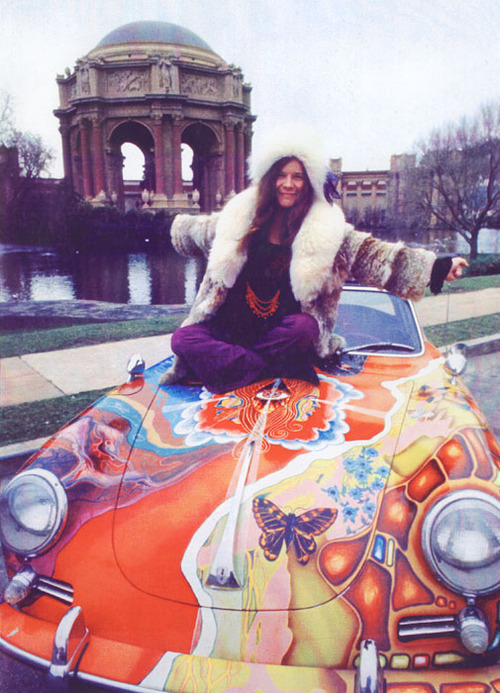 By 1968 Joplin had saved enough to splash out $3500 on a second-hand Porsche but felt the solid white paint-job did not suit her more psychedelic tendencies. 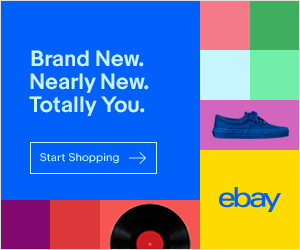 She engaged the services of one of her band’s roadies – Dave Richards to create something a bit more colourful and boy did he oblige. It took him a month to complete whilst Joplin was away on tour and he labeled it ‘the history of the universe’. 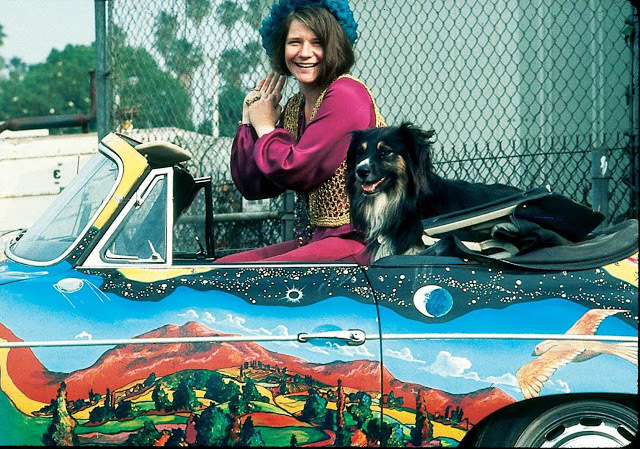 Back in the days when rock stars could drive around without being chased by multiple paparazzi Janis would use the car on a regular basis but work commitments meant she didn’t get to drive it as much as she would have wished. 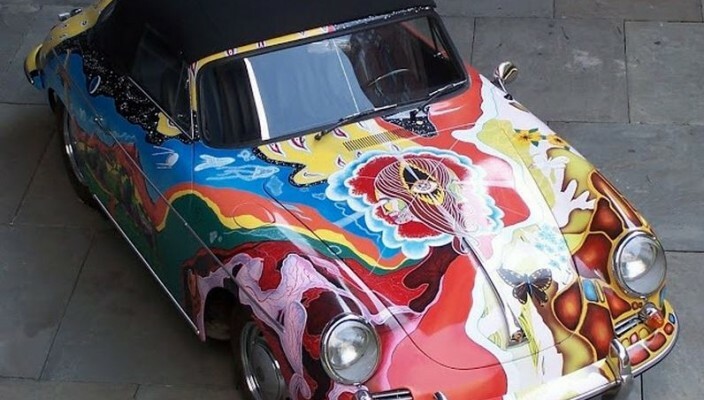 It was stolen in 1969 from outside the Winterland, San Francisco whilst she was performing inside and the thief, realising he had stolen probably the most recognisable car in town and then tried to spray it with grey primer. The police managed to recover it and it was restored to its previous glory. Following Janis Joplin’s untimely death the car was passed on to her family who in turn gave it to her manager Albert Grossman. He used it as a courtesy car on his New York estate until 1975 when the family requested its return. For the next 20 years the Joplin family used the car as a daily driver but the paintwork faded and in the late 70s and it was re-sprayed light grey and driven some more. By 1985 it had an impressive 138,000 miles on the clock. Some time later a full restoration was carried out and the Porsche now resides resplendent in all its eye-catching glory in the Cleveland Rock and Roll Hall of Fame.